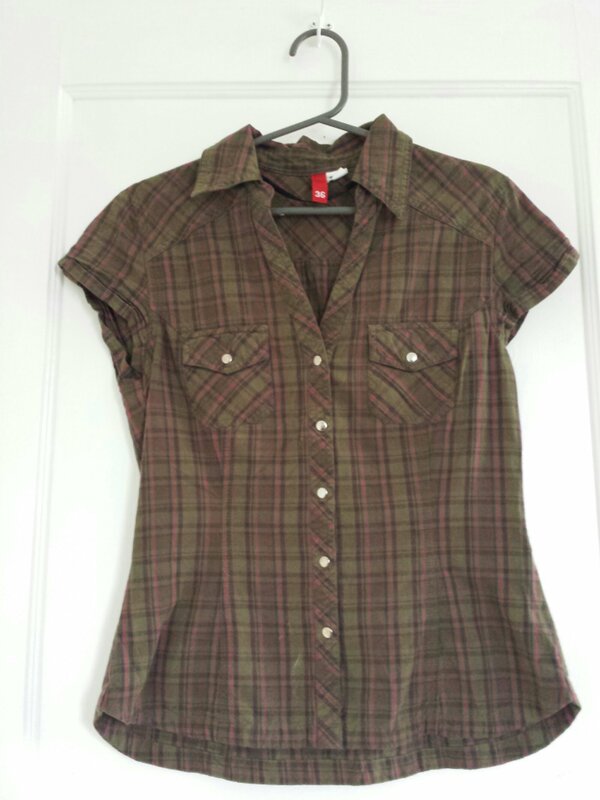 In the beginning of my collecting years after acquiring a tiny little collection consisting of one BB Dakota and one Billabong Hannah Jacket, I decided to set off and try to find SOMETHING that resembled that cute little button down shirt Bella wore in the beginning of Twilight. For some reason it was appealing to me in a way no other item was. I think it may have been the fact that every times I went to go see twilight in theaters (I counted 8 times) I became more and more infatuated with this whole story. 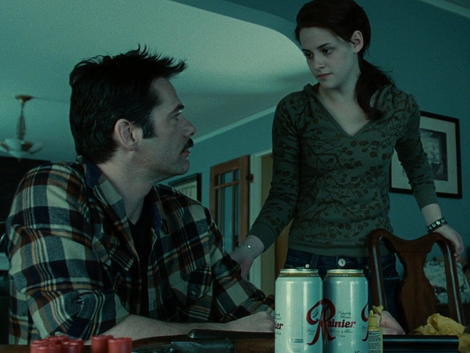 When the opening began, I would get butterflies in my stomach and the second I saw Kristen Stewart on-screen, I knew I was back on the 2 hour ride through Twilight. 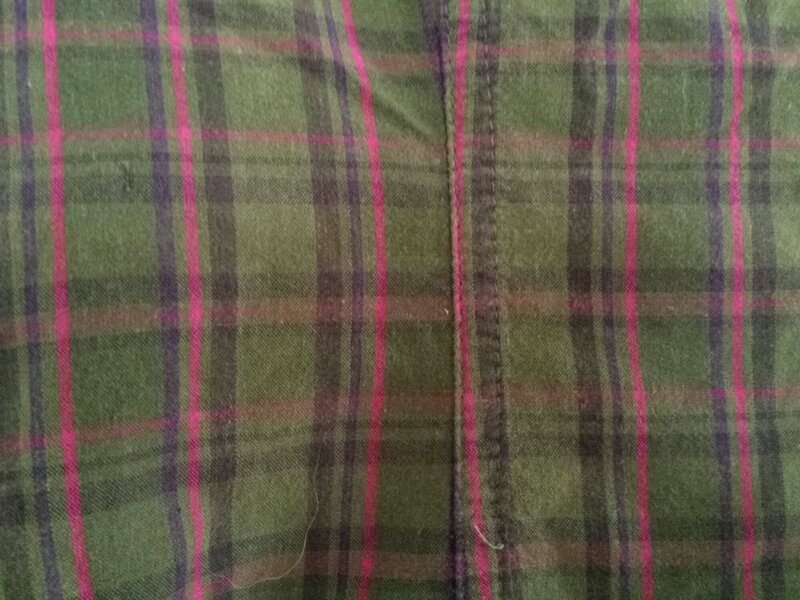 I guess I had subconsciously roped together that feeling with this top. Obviously, I needed to have it. Later on I would learn the top had been spotted as an H&M Plaid. Reading all the reviews and seeing none on ebay except for previous listings pretty much geared me up to except the fact that I would never in a million years own one. 2 years later proved me wrong when I saw a listing on Ebay for quite the pretty penny. No one was touching it. Though it was expensive, the price wasnt unheard of. I had the extra cash, and I wish I could say I gracefully hit the Buy It Now button without a care in the world. Truth is, where I was had no internet connection, so I demanded my friend lend me his phone while I obsessed over the listing for about 5 minutes before I actually bought it, all the while my friend telling me I was crazy. I received the package just in enough time to take it to Forks with me for my first officially Stephenie Meyer Day as Bella Swan. The actual fabric itself is actually really soft. Though soft, there is no give. It feels delicate, but is actually very strong. The color of the fabric as a whole could be considered a bit muted, but when you study it up close, the greens and reds really pop. A) The shoulder straps. For some reason I just love any shirt or jacket that does that! I feel like it kind of achieves the look crazy shoulder pads were trying to achieve. B) The snap buttons! These buttons make getting dressed super easy! 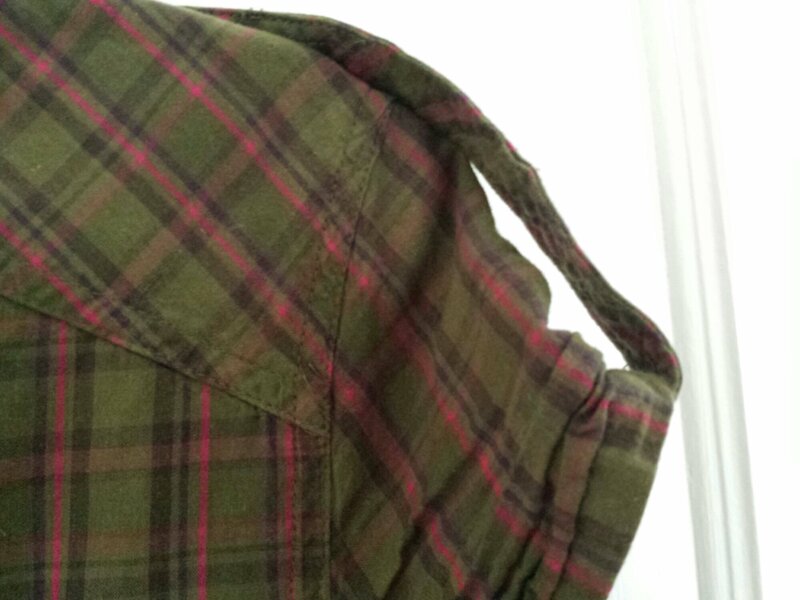 Speaking of buttons, this unique plaid pattern allows you to wear the top buttoned or unbuttoned due to the slight curves in the vertical lines. When you have it buttoned, it gives your figure the look of a slim slightly longer torso. When its unbuttoned, the curves in the lines gives the fabric the illusion it’s still hugging your figure. This top is one of my favorites. It’d be very difficult to let this one go! Now I know I have blogged about this item before, but seeing as how it still is fairly rare, why not add it to the list! 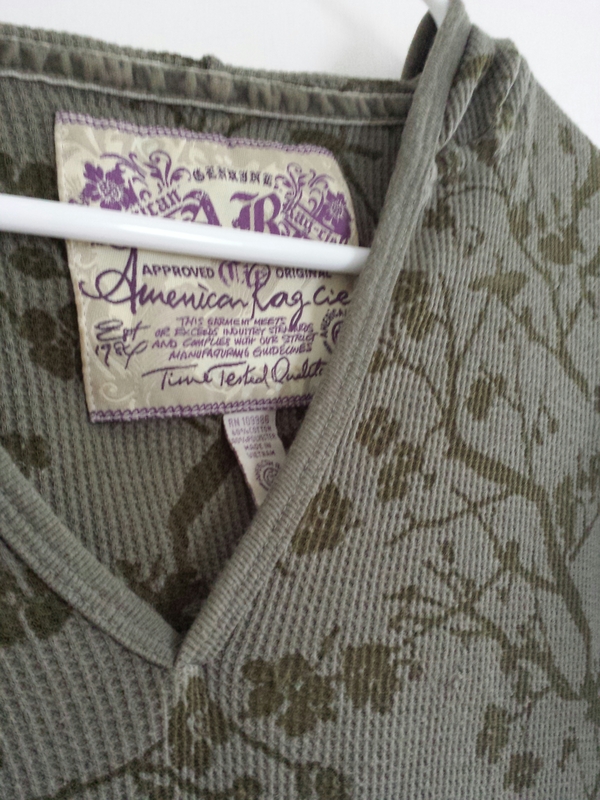 The American Rag Thermal has been sought after by many a Twilight clothing collector since the Twilight film released in theaters. Bella Swan was seen wearing this thermal when she introduces Edward Cullen to Charlie, and wore it under her jacket throughout the baseball scene. I’m going to be completely and 100% honest. This top has gone for over $1,000.00 on eBay. Keeping that in mind while I tried this on for the first time lead to nothing but disappointment. Let me elaborate. 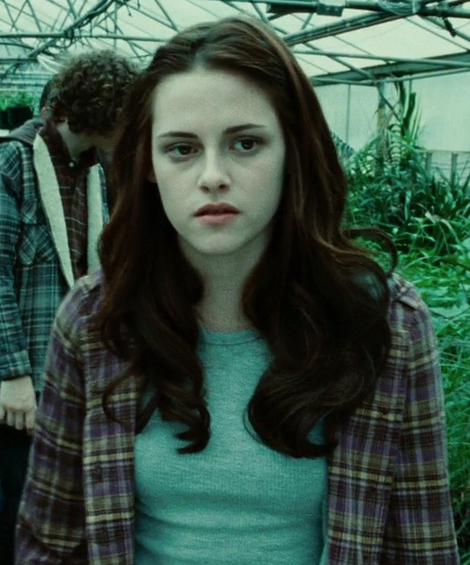 Way back when Twilight first came out and I started the blog, I (obviously) did a lot of research on Bella’s clothes, the brands etc. The one top I would always see come across on forums or in conversation was this infamous green top with adorable looking “print”. I’m not quite sure why this top in particular became a “thing” where everyone had to have one, but the American Rag popped up more on people’s wanted lists than her BB Dakota jacket (before it was rereleased). Naturally this intrigued me. As years passed by the American Rag grew in demand, but the amount available dwindled. About two and a half years ago the top reached its all time high. It was a once in a billion chance for this thermal to pop up on eBay and when it did, it sold for an amount too painful to admit. Jumping ahead to when I tried this thermal on for the first time. The term thermal in my opinion is used loosely. 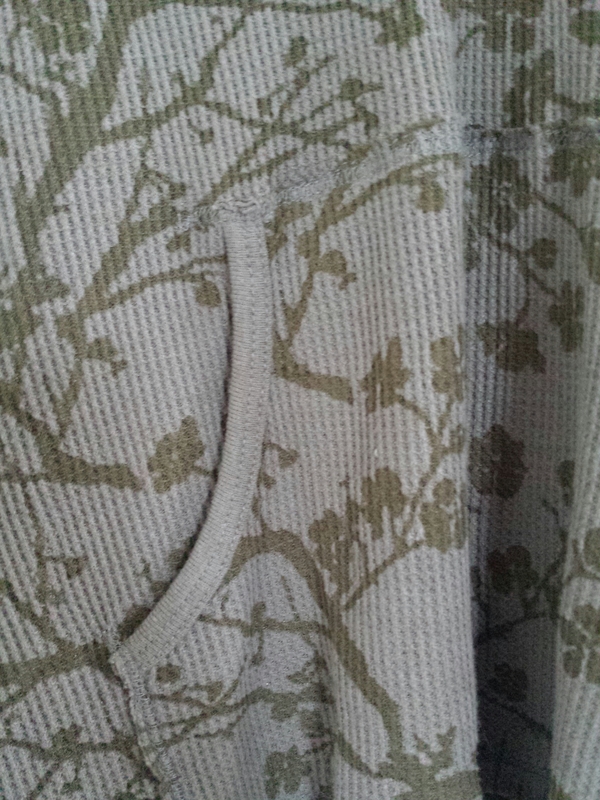 The “print” on the fabric is actually shear. You definitely need to wear a tank top underneath otherwise you’ll be getting a breeze and someone will be getting a show! The actual feel for the fabric is delightfully soft and the pouch in the front breaks up what would be a plain-looking shirt with a pattern. The hood is probably my favorite part. It balances out the pouch in the front and gives your profile a slimming effect. Over all, I love this thermal. I am incredibly thankful to my friend for gifting it to me (she found it for $20.00!) and I consider myself incredibly lucky! That being said… in a world where I had not received this as a gift… this girl’s wallet is a bit too small to love it for $1,000.00! 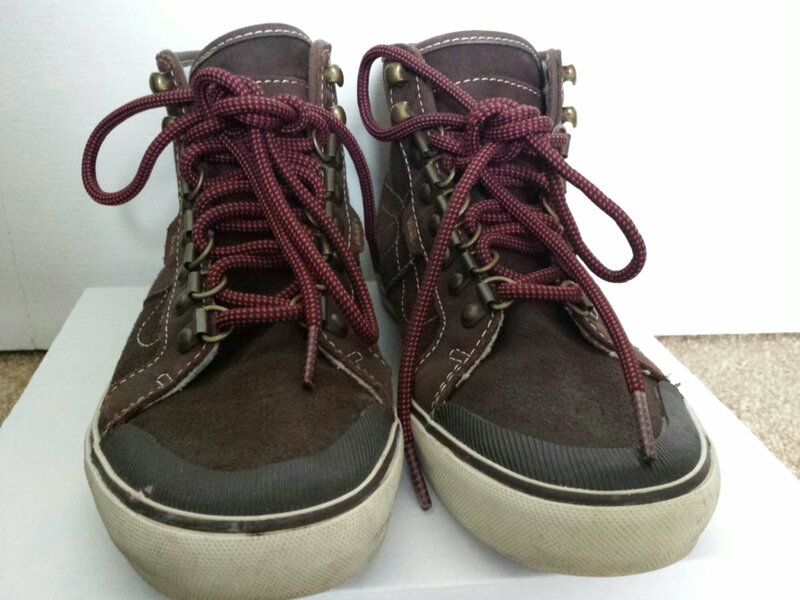 The first item on the list of rare items I would rather enjoy talking about are the Vans Wellesley Hiker Boots. 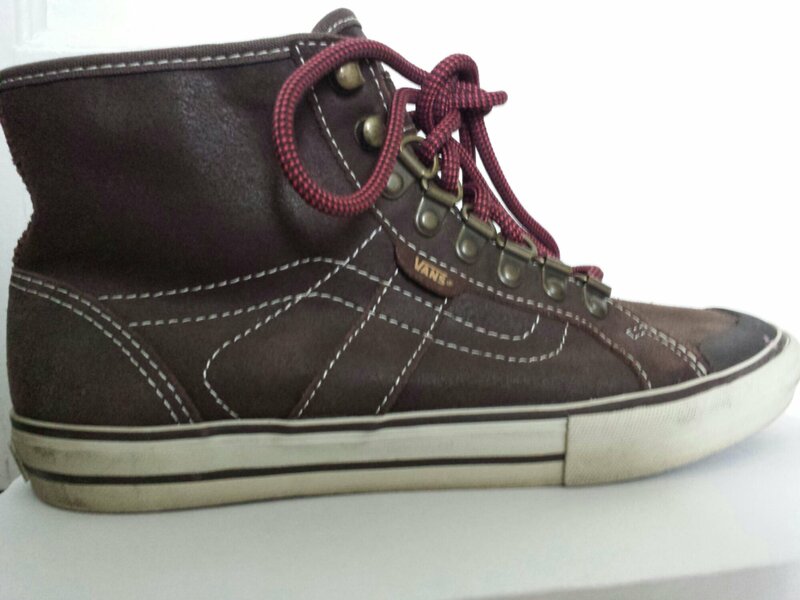 Before I was able to acquire these lovely shoes I had always had an eye out for them. It wasn’t so much the fact that they were shoes (because lets face it… I am obsessed with shoes), but because of how they were portrayed in Breaking Dawn part 1. I know that must sound a little odd, but for some reason, the outfit Bella wore in the scene where she was practicing in her Manolo Blahnik wedding heels just seemed to come together in such a different way when she slid them back on. It really transformed the outfit, bringing it from a bit too clean and neat for Bella to girlie with a tiny bit of rough around the edges (which is what I adore most about Bella’s wardrobe). Actually sliding your feet into these shoes isn’t as difficult as it may seem (Kristen Stewart did a great job of demonstrating this in the movie.) 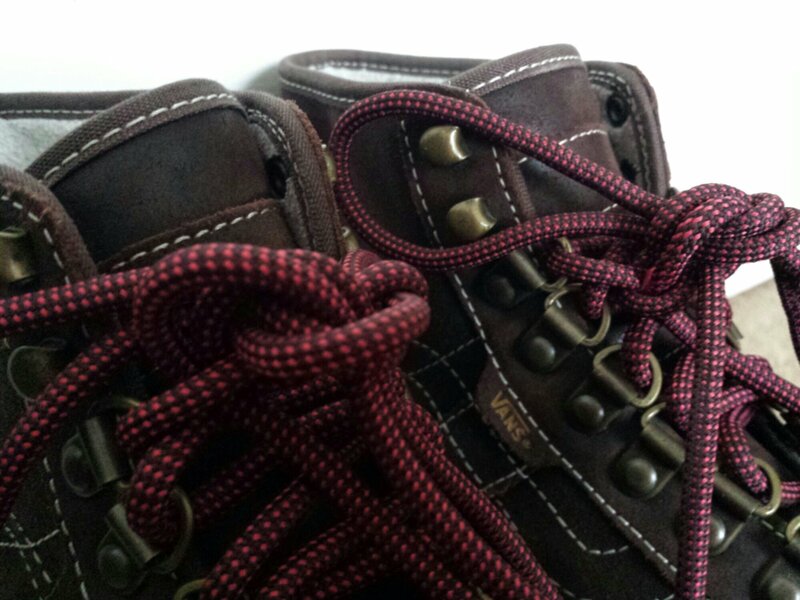 The laces are easy to loosen, and true to a boot design, you don’t necessarily have to lace them all the way up. 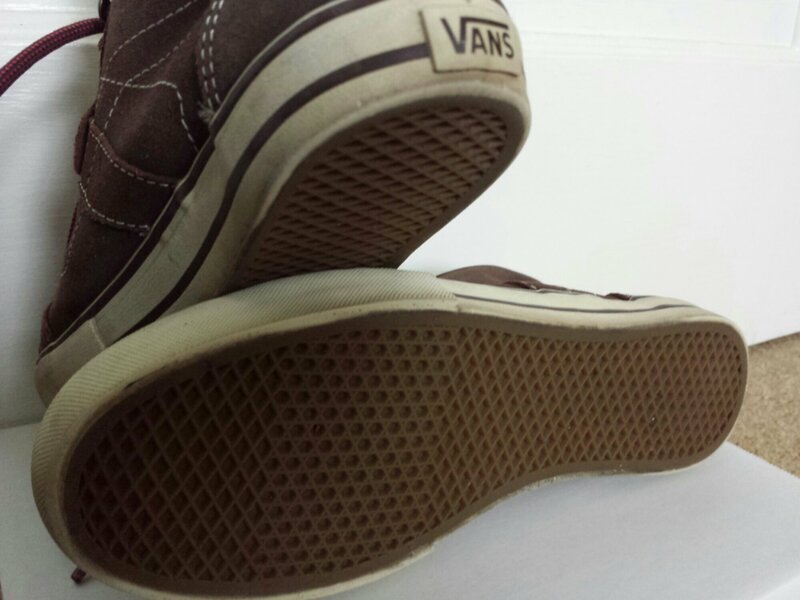 The actual support of the shoe is not the greatest. Some people may find they need to add inserts. Sizing however is spot on and true to size! The color is actually very interesting to behold in person. 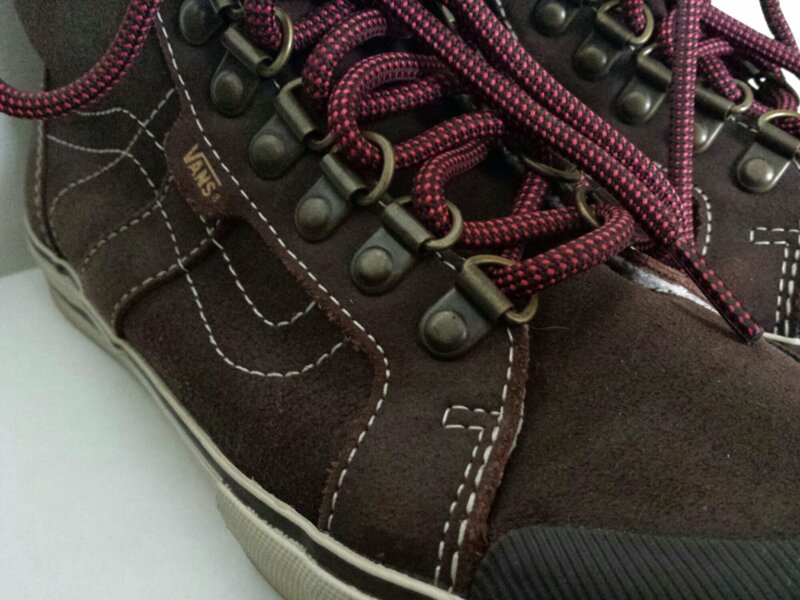 Where you can easily say it is brown, the color goes much deeper than that. It is a cool reddish-brown, with slight undertones of blue, making the color come off as a cool burgundy color in certain lighting. The cream-colored stitching and bottom of the shoes and the red and burgundy from the laces complement this complex melody of colors, and ties it all in. They are in fact great to wear with skinny jeans. If you’re looking for a pair of shoes to break up the dressy outfit you have going on up top, these are the perfect shoes to do it! 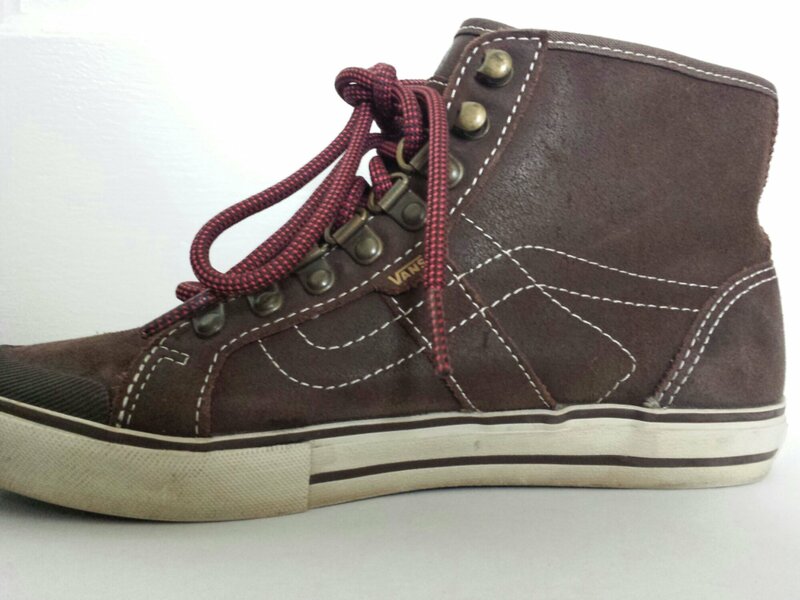 These skater shoes still live up to their reputation of being hard to find. Ebay is a great place to look. 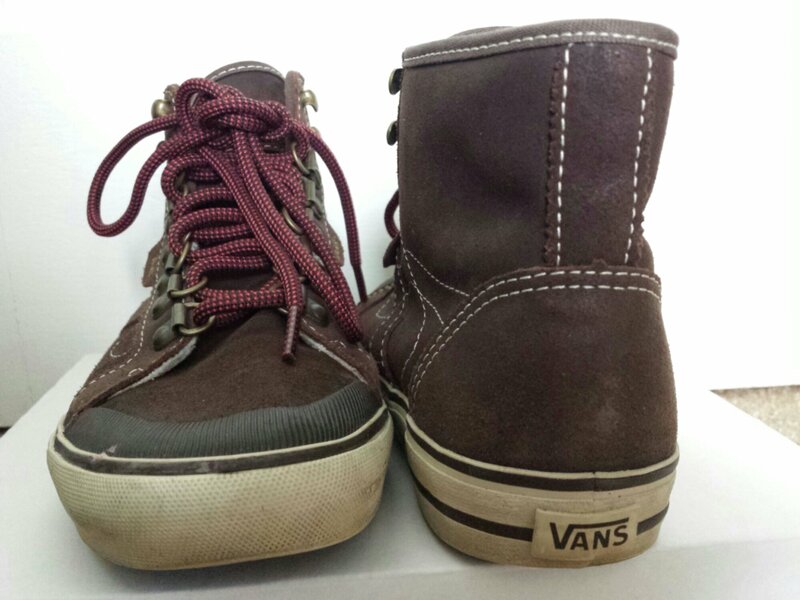 Even though they hardly pop up, vans offer great alternatives as well. Other great places to check are Bella Swan clothing Facebook pages. A lot of collectors post what they are selling so they don’t have to deal with eBay! That’s it for now! Happy hunting! How To Ebay For Less! We all have that dream Bella Swan piece… you know, the one that you set your eyes on from the beginning telling yourself one day you will buy it? The one that is super hard to find…The one that finally pops up on ebay for 300 + when you have no money to spend at all….. I will start off by saying nothing, no matter how rare it is, is worth putting yourself in debt. Buying a Twilight Betsy Johnson top for $550.00 is fine… if you have the cash for it. For the most of us that do not have a spare $600.00, resort to this method I like to call “Patience and Control” a costume collectors two closest friends. P&C are like the friends you have that know you inside and out. They are the friends that give you advise you never actually listen to, and then regret it later. Now is a good time to start listening to them! In all my years of being a Bella Swan ebay shopper, the number one thing I have learned was to only spend money when I have it. Credit cards are a very tempting thing, which is why I don’t have them hooked up to my account. For the most part, my ebay shopping is very spread out and scattered. Waiting for the right piece at the right price is definitely a difficult thing, but that’s where the patience comes in. I know what your thinking. I’m crazy for insinuating Bella’s rare pieces will ever be cheap enough to buy with pocket change… but yeah… that’s exactly what I’m getting at. Someone somewhere is always selling something Bella related, whether they know it or not, and no matter how old the item is. 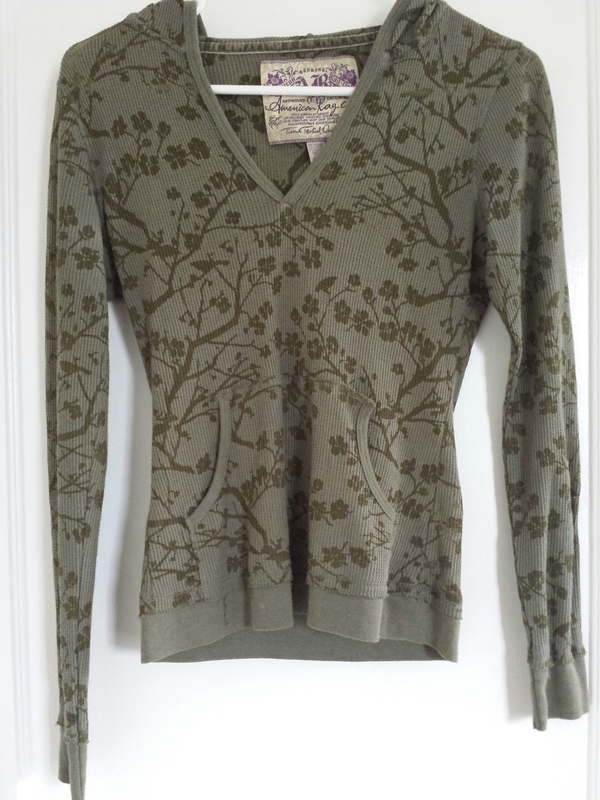 Clothing from the first Twilight film is STILL showing up on ebay new with tags. That in its self should give all you avid ebayers out there some hope that whatever it is you are looking for will always show itself in the future. As for the pricing, try searching your item with various descriptions. Do not put “Bella Swan” in the search. Eventually, you will find the piece you are looking for, whether it takes weeks or months. and a Susina Jacket for $20.00! For those of you who aren’t familiar with either of these tops, both go for $1000.00 + on ebay. So all you need to do, is sit back chill out, and wait it out. It will pay off in the end!! Keep Calm And Ebay On! Hello everyone! I wanted to take a moment and post about the event that started it all. 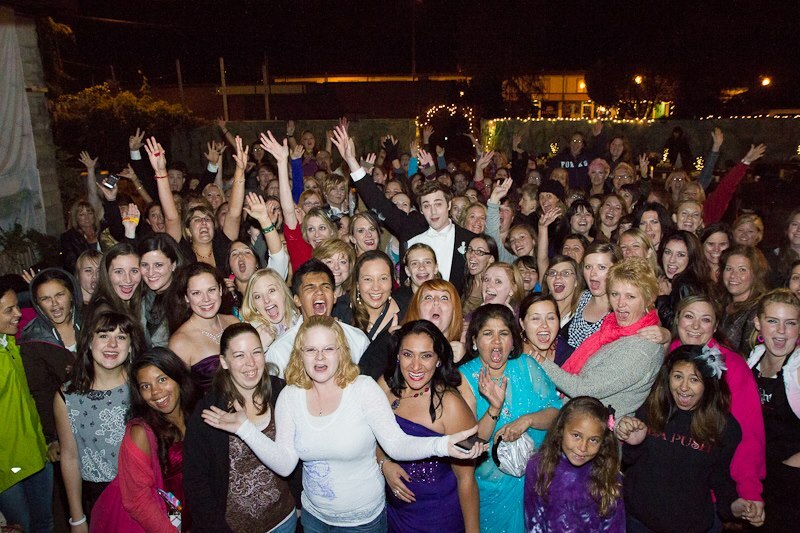 If you frequent this blog, then the Stephenie Meyer Day events are no stranger to you. 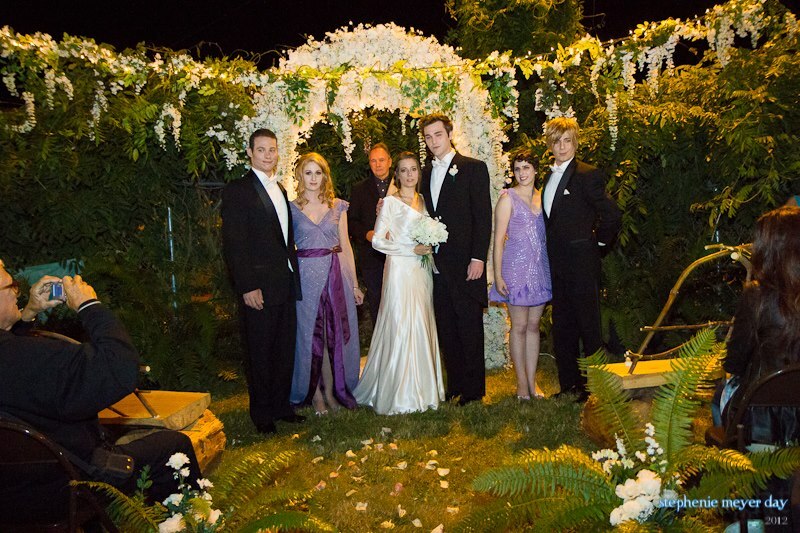 For those of you unfamiliar with it, This 3.5 day festival takes place in Forks, Washington, and commemorates the author, and celebrates everything twilight. From tours to vendors to twilight events, this celebration is held throughout the whole town, and definitely gives you your twilight fix! The reason I hold this festival so dear to my heart is because I along with many others participate in the Stephenie Meyer Day Cast. That’s right! 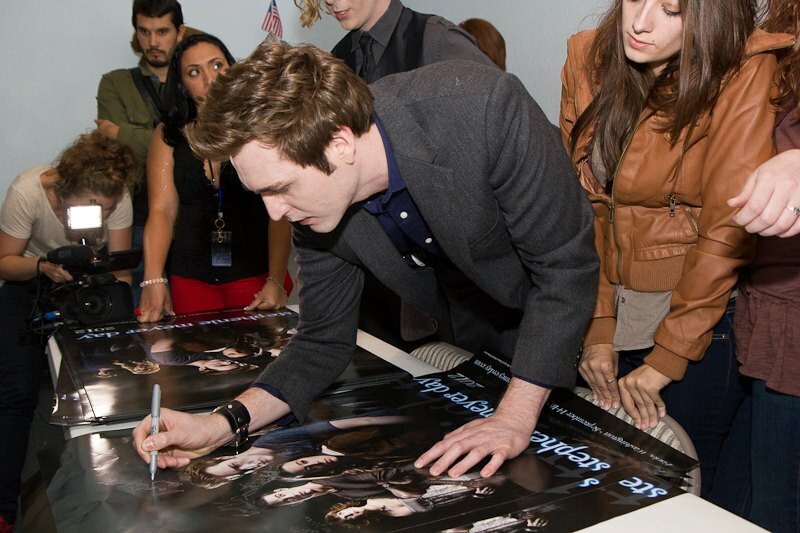 Stephenie Meyer Day has its own cast that participates in events and takes photos with the guests! This year the Stephenie Meyer Day cast has many of the characters you are familiar with, and they are very eager to meet each and every one of you, but I wont spoil the surprise just yet! are some photos of us at some of the events! Stephenie Meyer day is such a fun weekend for a family with all ages! To check out more info about the events we will be working at, and events we will be holding for 2013, check out our Facebook page and our website! Vee and I were able to match up all the seams and buttons to those on Bella’s coat, even the buckles on the collar. The only thing I’m still a bit stumped about is the color. The color of this jacket is technically a navy blue though it could pass as a dark charcoal. the collar on the inside is made of a corduroy which would explain the contrast of the two “blacks” on Bella’s jacket, the actual coat looking black and the collar looking an even darker black. On this coat, it is a maroon color. 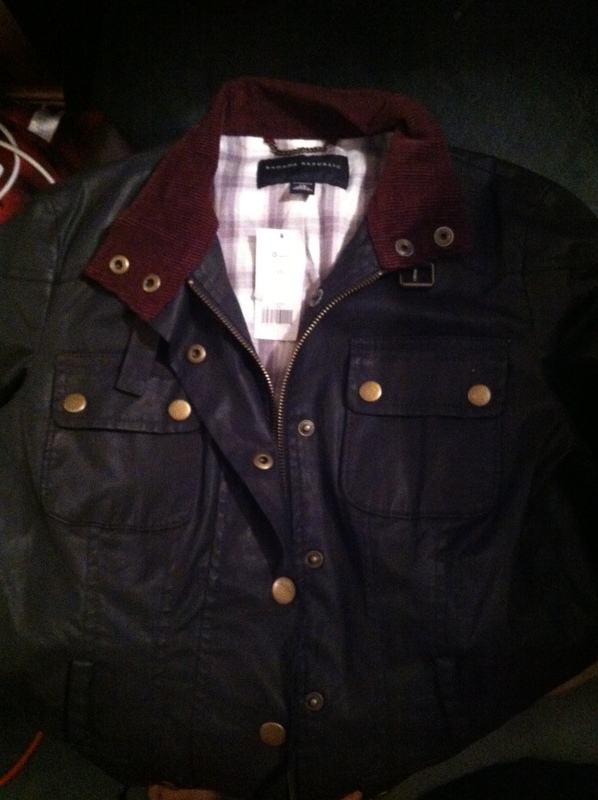 – the navy jacket with the maroon collar this years jacket, and Kristen Stewart’s jacket was actually last years jacket. I was told, last year they had this jacket in black, this year they did not. I tried finding picture of it i black, but unfortunately I could not find the exact jacket in black. 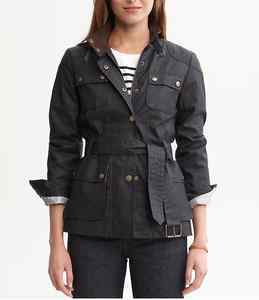 I did however find black jackets made by Banana Republic similar to the make of this one, but instead of the gold buttons, they were silver. I wonder if last years buttons were silver on this coat as well. Although the colors are questionable, I believe this is the same make and brand as the jacket Bella is wearing in Breaking Dawn part two. I will however, keep an opened mind to anyone who thinks they have spotted the jacket with another brand!